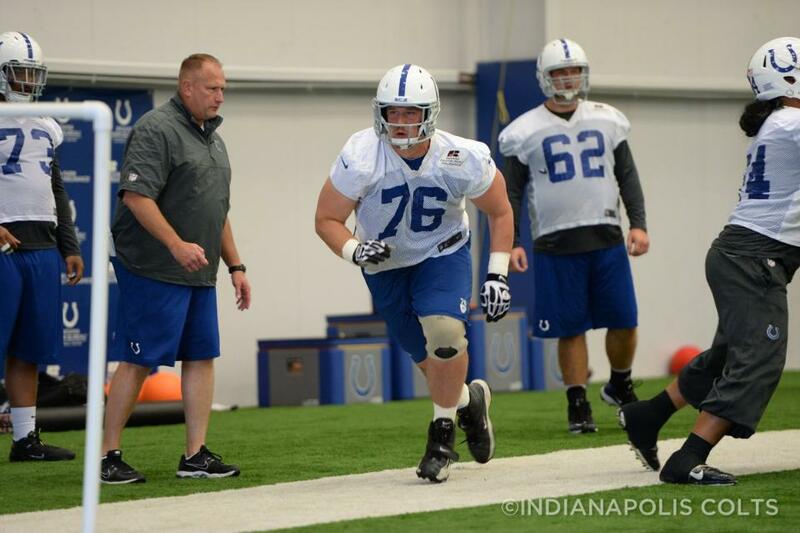 The Indianapolis Colts today announced that restricted free agent guard Joe Reitz has signed his qualifying offer. Reitz saw action in 14 games, making three starts in 2013. He helped pave the way for the Colts to rush for 1,743 yards, their highest single-season total since 2006. Reitz also blocked for quarterback Andrew Luck to throw for 3,822 passing yards, bringing his career total to 8,196, which is the most by a quarterback in his first two seasons. Reitz was originally claimed by the Colts off waivers from the Miami Dolphins on September 8, 2010. For his career, he has appeared in 34 games and has made 20 starts. Competition is something Joe Reitz more than welcomes. Whether it’s on the hardwood playing for the 2004 Indiana All-Stars or fighting for a roster spot in the NFL, Reitz has relished any opportunity that he’s earned. The next form of competition for the Fishers, Ind. native will come over the next month and a half when he enters an offensive line battle that is surely to be one to watch at Colts training camp. Reitz has started 17 games for the Colts over the last two seasons and has found a niche in the NFL as a versatile, athletic lineman. He’s in the process of fighting to maintain a spot on an offensive line that has added a mix of veteran and young pieces this offseason. Coming off an 11-5 campaign, Reitz knows that expectations from those on the outside will be higher in 2013. Many wonder if the emotional 2012 season will wear off this season but Reitz quickly debunks that when discussing the man leading the Horseshoe. “When you talk about enthusiasm, Coach (Pagano) brings it every day. He’s one of the most enthusiastic guys I’ve ever been around. He’s got just as much (enthusiasm), if not more, than he had last year because we all tasted that success last year,” Reitz said.